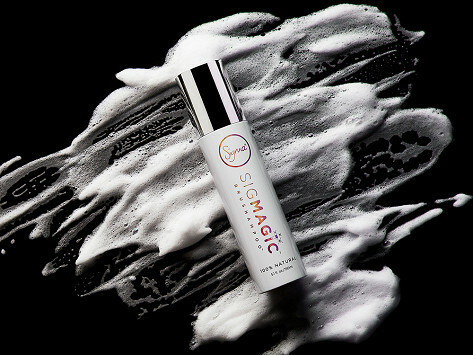 Make your brushes squeaky clean with SigMagic™ Brushampoo™. Made with 100% natural ingredients, the formula dissolves product build-up, oil residue, and harmful bacteria, while still restoring the functionality of brushes. Combine this shampoo with any of the Sigma Spa® cleaning products and you've got a formula for brush-cleaning success. Used with the cleaning glove made washing brushes very easy.